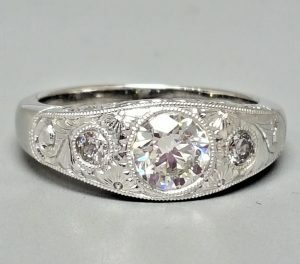 Is there a trick to designing with older cuts of diamonds? You bet. Read on for Pat’s story and the seven rules for working with older diamonds. The challenge to this project was that though most of the diamonds were of older cut styles, three of her diamonds were modern cuts from replacements of lost diamonds. The replacements stood out like tree ferns on the moon. When you compare an older cut vintage diamond to a diamond with a modern cut, it is easy to see the difference. Different doesn’t mean bad, it just means different. Things can go bad, however, when you try to combine the two different diamond cuts into a single piece of jewelry next to each other without careful planning. The new modern brilliant cut diamond will have a sparkle and fire that the older European cut diamond or old mine cut diamond just can’t match. Therefore when designing with older cut diamonds there are some design rules, which I would like to share with you. 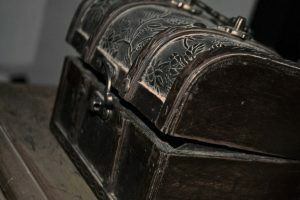 Before we get to the rules, I want to give you a little bit of information about antique and vintage diamonds. 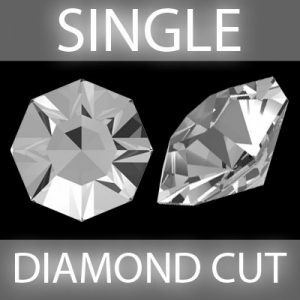 In the past, diamond cutters used techniques to cut diamonds that are no longer used today. They cut with the priority of enhancing the color or lack of it. Modern whiter diamonds have allowed cutters to focus on sparkly brilliance in their cutting. In the past, diamond cutters cut diamonds by hand, and created diamond shapes and dimensions that reflected the era in which the stone was cut. Time and technology have given diamond cutters the skills and resources that just weren’t available a hundred years ago. Diamonds that were cut by hand exhibited less fire and brilliance than diamonds that are cut in the modern way today. 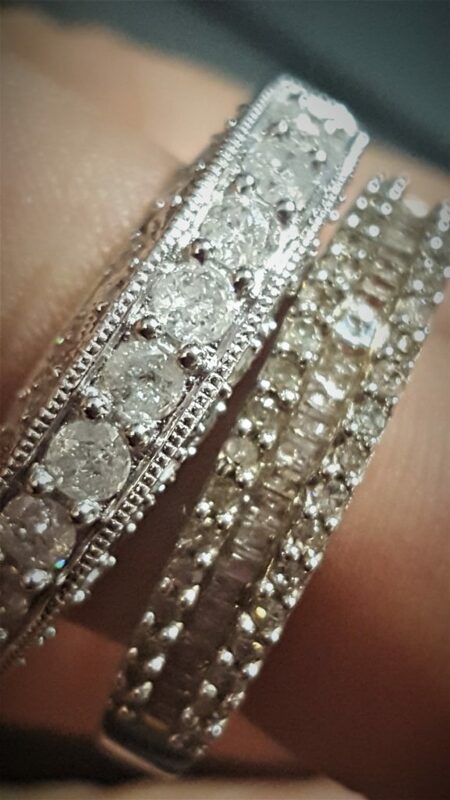 Happily for vintage diamonds, many people prefer the warmer, romantic glow that comes from a diamond cut by hand. 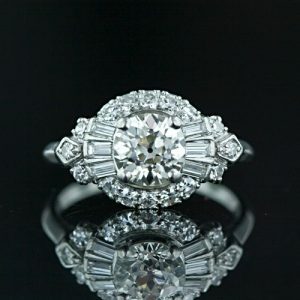 In fact, antique and vintage diamonds are starting to become quite a popular trend again. More brides-to-be are deciding to go with the old-fashioned romance of an antique or vintage cut diamond as their gemstone of choice. Many antique and vintage cut diamonds are of lower color than what would be considered “top” color today. This is because the mines that yield such colorless beauties that we see today were undiscovered all those years ago. 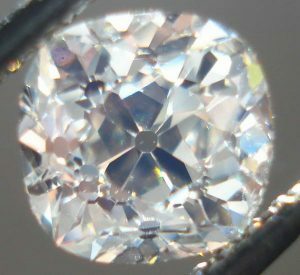 However, the unique cutting techniques and facet arrangements used on antique and vintage diamonds, often fool the eye into believing the actual color of the stone is much higher than it is. This is especially true when the older cut diamond is set into a mounting. 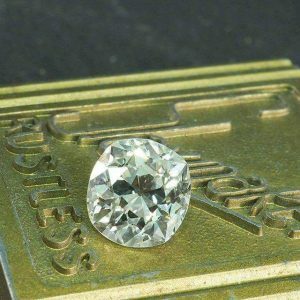 One of the most unique factors of an antique or vintage cut diamond, is that the faceting arrangement creates a much more chunky facet look. You’ll also see a more colorful play of light with the older cuts as well. Modern cut diamonds show a brighter fire with more tiny pin point flashes of light. It’s as if they are charged up with energy. The older cut style is beautiful in a more mellow way. 5. If your older cut diamonds have visible inclusions, set them into a group of diamonds off to the side, or if they are sentimental to you, consider setting them into the gallery work, (side view under crown element), where they will be most visible to you alone. Keep in mind that the optical illusion of the better diamonds nearby will fool the eye to forgive the more imperfect one. Those Diamonds Look Awful Together. No Thanks! A week later, Pat and I sat down at her kitchen table with her grandma’s five ring and two pendants. I could immediately see that many of the diamonds were single cut—an older style with fewer facets. The sizes and colors of the diamonds also varied widely. Fortunately, the largest diamond rated the best of the lot. Unfortunately, it had a few small chips on the sides. “Grandma Lolly was my favorite and I’ll always love her,” Pat said. “She managed to take me on lots of adventures when I was young. What I really want is to somehow use all her diamonds in one piece of jewelry.” I pulled out my pad and pencil and we got down to work. Pat wanted a heart shape to represent her love for her Grandma. We began with that. 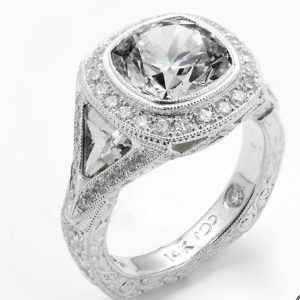 Since there were a lot of diamonds there was no way that we could do a ring unless it was huge and kind of gaudy. However we could totally make it as a pendant. Since the large, center diamond was chipped in multiple places on the sides, I suggested we bezel set it to cover up the imperfections. Pat agreed. She didn’t want to re-cut the diamond. She kind of liked the personality of those chips. She liked the idea of knowing they would be hiding there under the bezel setting. After several different configurations, we finally settled on placing the largest diamond in the center of the heart. Pat had a mixture of single cut small diamonds and Old Mine Cut medium cut diamonds. Since the diamonds were different sizes, we chose to arrange them from biggest nearest to the center to smallest radiating outward. We used the tiny modern cut diamonds down low and too the side where they didn’t make the other diamonds look bad. I suggested we place some of the more “off color” diamonds on the outer edge where the design curved down, where they’d be less visible. Pat liked that idea. 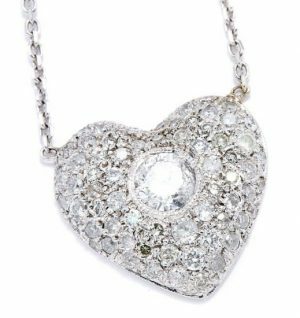 Pat’s Heart Necklace With Grandma Lolly’s Diamonds. Four weeks later I presented Pat with her finished heart pendant. 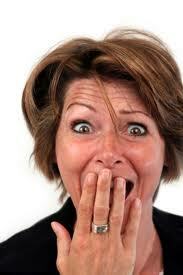 “Oh my God!” she exclaimed with tears running down her cheeks. Admittedly, my eyes weren’t completely dry either. It was such a happy moment. 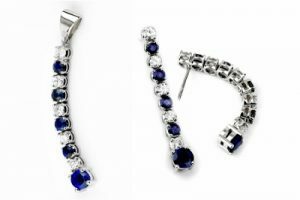 Do You Have Unworn Older Jewelry? Are There Some Grandma Diamonds in There You’re Not Using? 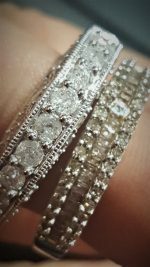 Do you have older cut vintage diamonds? Loose or set, you might like to make use of in a new piece of jewelry? Redesigning older jewelry is a wonderful adventure. Call me and we’ll find your inner jewelry designer! And make you a piece of jewelry to cherish. PS. 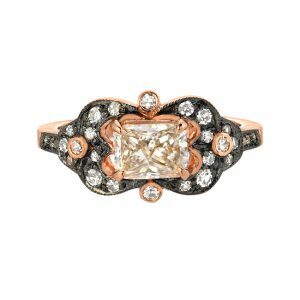 Check out my blog on Rose Cuts, Old European and Old Mine Cut diamonds. Calla, I have come to expect great advice from you in your blogs. This information on designing with older diamonds is great. Having seen rings that have newer replacement diamonds next to older vintage diamonds and seeing the clash of shine and sparkle, I agree that there have to be rules! Calla Gold your vintage diamond design rules are excellent! 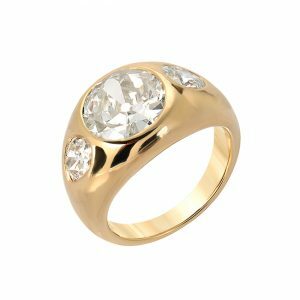 I have a rather large ring with lots of small diamonds and want to have it restructured into an engagement ring. Can you help me? I have chipped my grandmothers 2 carat center stone ( 3 stones) ring. How much is a 2 carat old fashioned round stone? hello, So my engagment ring is hlf a ct.princess cut white gold. 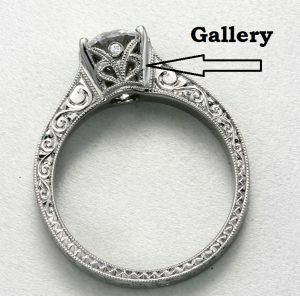 I have a small princess cut white gold that i never wear anymore can i combine onto my engagment ring?